Please check this website for any changes in stock or postage prices before ordering. Prices shown are for single purchases only. Discounts may be available for quantity purchases. No REFUNDS - Choose carefully. & $13.00 up to 3kgs bag. Email order to: office@taichi.com.au (quickest option). Email Phone number & a good time to call you. G.P.O Box 66. Adelaide S.A 5001. Name on card, 16 numbers, expirery date, contact phone & postal address. Airmail & International express available. Cost is determined: by weight & destination plus insurance. Payment by Visa (preferred) or Mastercard. DVD's may not be compatable with all players. DVDs & VCDs are also suitable for playing on computers & laptops. 1. where we send you the wrong product. 3. Purchaser pays for Postage & extra phone calls. Esssential for serious Chi Kung ( Qi Gong) Instructors & students! Heart, Respiratory, Diabetes, Fitness & Wellbeing sets. DVD & Text Book - A$27.50 Click Here to view some details. Ba Duan Jin (8 Silk Qi Gong movements) kind of "Chinese Yoga"
Yi Jin Jing ( Exercises to extend & stretch the body) a kind of "Chinese Yoga"
Esssential for serious Tai Chi Instructors & students! DVD / or VCD & Text Book A$27.50 plus postsge. 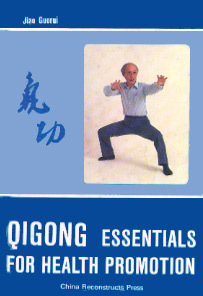 Chi Kung (Qi Gong) - Books. The first in our series of Taiji Qigong Shibashi textbooks, this book covers the introductory set of 18 forms of Chi Kung as taught to our students. This form is a combination of moving and static Chi Kung, is easy to learn, and quickly enables the practitioner to obtain chi and health benefits. This book contains over 110 pictures, and covers preparatory stages and finishing stages in detail, along with the 18 movements of the form. Buy the DVD & receive the Textbook complimentry"
The second in our series of Taiji Qi Gong Shibashi textbooks, this book covers the more advanced second set of 18 forms as taught to our students. The movements in this set are more challenging and physically demanding than the first, and the set can be practiced either in conjunction with the first, or on its own. 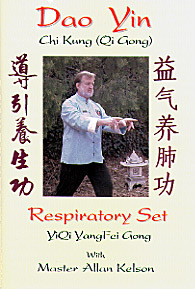 The first in our series of Dao Yin textbooks, this book covers the Dao Yin Respiratory Set in 8 forms - one set of exercises of Daoyin Yangsheng Gong, developed by Zhang Guangde. According to research and clinical application in China, the set was designed to prevent and cure colds, bronchitis, pulmonary emphysema and other respiratory diseases. 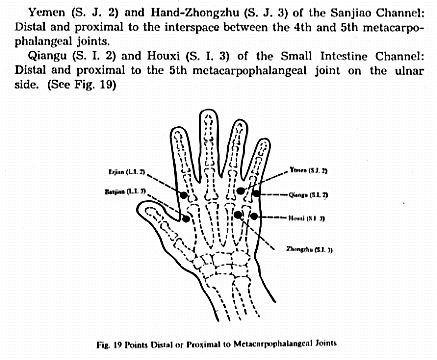 This textbook contains over 72 (B & W)pictures, and covers acupuncture point location, preparatory and finishing stages in detail, along with the 8 movements of the form. New : Dao Yin from China . New -: DVD NOW available - see below. 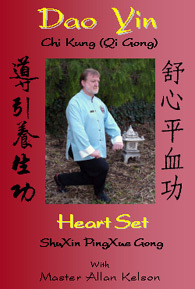 The second in our series of Dao Yin textbooks, this book covers the Dao Yin Heart Set in 8 forms - one set of exercises of Daoyin Yangsheng Gong, developed by Zhang Guangde. According to research and clinical application in China, the set was designed to prevent and cure hypertension, hypotension, coronary heart disease, tachycardia and other cardiovascular diseases. This textbook contains over 72 (B & W) pictures, and covers acupuncture point location, preparatory and finishing stages in detail, along with the 8 movements of the form. 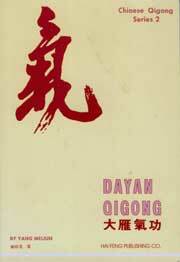 New : Dao Yin DVD from China. 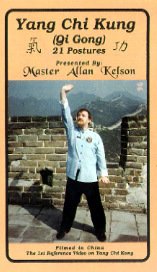 Master Allan Kelson's demonstration of the whole 64 forms. This demonstration was filmed in 1993 at the Fragrant Hills near Beijing, during the World Medical Qi Gong Conference held there. Published in China, this book introduces Chi Kung, its history and applications in improving health and the treatment of disease. It includes a chapter on scientific experimentation on Chi and Chi Kung, as well as an introduction to Chi Kung principles and some basic Chi Kung exercises, including Baduanjin (eight graceful forms). This book is part of the "China - Facts and Figures" series, published by the Foreign Language Press, Beijing. It discusses the elements of Chi Kung practice, its therapeutic effects, and introduces some basic static postures and exercises. 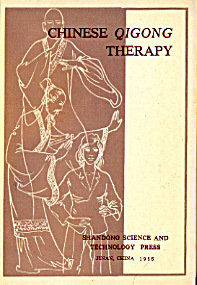 Focusing on the therapeutic benefits of Chi Kung, this interesting book is a more clinical introduction the basic principles of Chi Kung, Traditional Chinese Medicine concept of meridians and their application in treatment of disease. 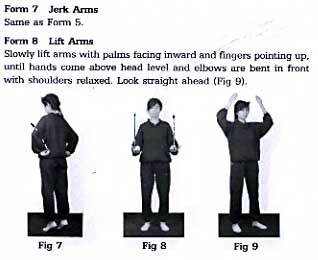 A number of exercises are presented, with specific sets provided for the treatment of cancer and hypertension. 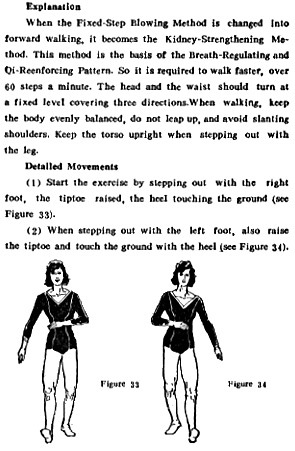 The book concludes with case studies illustrating the prescription of these exercises within the clinic. For those looking for a more detailed discussion of Chi Kung, this book includes excellent information on essentials for practise, history and the Traditional Chinese Medicine applications of Chi Kung in treatment and promotion of health. The book presents a large number of Chi Kung exercises - standing, sitting, lying down and walking types - along with Hua Tuo's Frolics of Five Animals (Wuqinxi) and Internal Chi Kung self-massage. 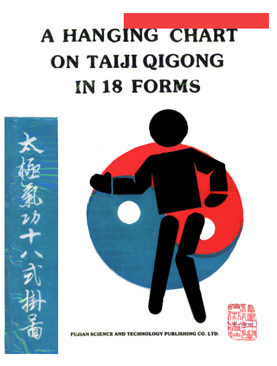 This is a single sided chart, produced in China and authored by the creator of the set, which presents the first set of Taiji Qigong Shibashi in 18 forms. 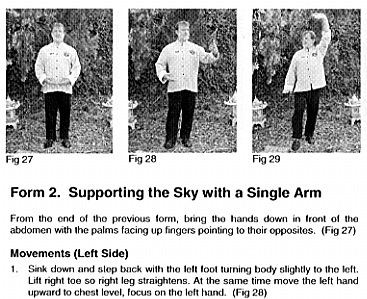 This form (taught to beginners at the Institute) is a combination of moving and static Chi Kung, is easy to learn, and quickly enables the practitioner to obtain chi and health benefits. The chart is suitable for hanging as an aid to memory when performing the set, and uses 34 diagrams with explanations to describe the movements. 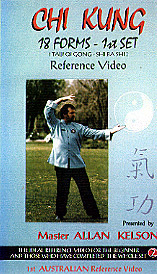 Plus- New Dao Yin VCD's see above. This is the 1st reference video/ DVD ever produced in Australia on this set. 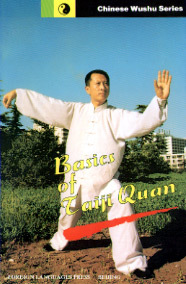 The first in our series of Taiji Qigong Shibashi reference videos, this tape covers the introductory set of 18 forms of Chi Kung as taught to our students. This form is a combination of moving and static Chi Kung, is easy to learn, and quickly enables the practitioner to obtain chi and health benefits. 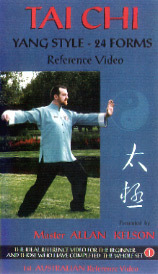 This DVD-R covers the introductory set of 18 forms of Chi Kung as taught to our students. This form is a combination of moving and static Chi Kung, is easy to learn, and quickly enables the practitioner to obtain chi and health benefits. There are convenient chapter jump points for each form! This is the 1st reference video/DVD ever produced in Australia on this set. 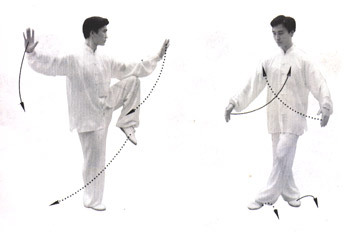 The second in our series of Taiji Qi Gong Shibashi reference videos, this tape covers the more advanced second set of 18 forms as taught to our students. The movements in this set are more challenging and physically demanding than the first, and the set can be practiced either in conjunction with the first, or on its own. Quality: ordinary but useful for eager students. This is the 1st & only reference video / DVD, ever produced in Australia & the world on this set. 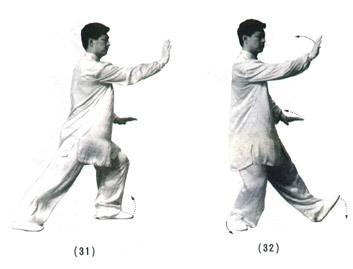 Yang Chi Kung is a semi-static set of movements, co-ordinated with the breath and a focus on special acupoints. This set helps to increase the volume of Chi in the acupuncture meridians. Filmed on location in the Double Dragon Pavilion in Beijing China, this tape covers the 21 postures of the form. This book consists of a series of nearly 200 large black and white photographs, which clearly illustrate the postures and movements of the standard Yang Style Tai Chi in 24 Forms (Beijing 24). This is an inexpensive study aid for those students who may want a good visual guide to the form. This book is part of the "China - Facts and Figures" series, published by the Foreign Language Press, Beijing. 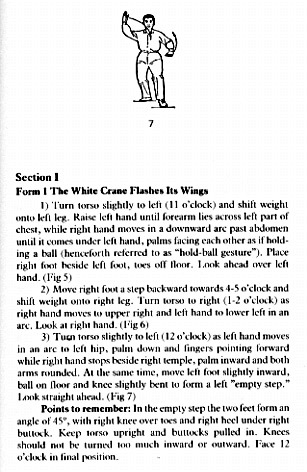 It discusses the elements of Tai Chi practice before presenting Yang Style Tai Chi in 24 Forms (Beijing 24) in words and then 173 diagrams of the movements. This is an inexpensive study aid for students who may need assistance in remembering the sequence of forms between lessons. The major difference between this book and the chart which we also have available is that the written section is separated from the diagrams. 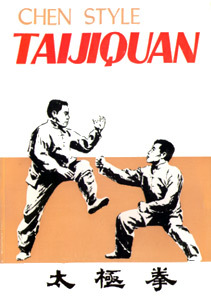 This book is part of the "Chinese Wushu Series", published by the Foreign Language Press, Beijing. 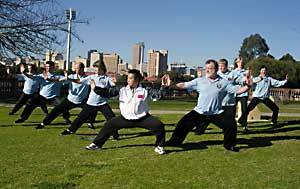 It introduces the history and development of Tai Chi and the major schools of Tai Chi. 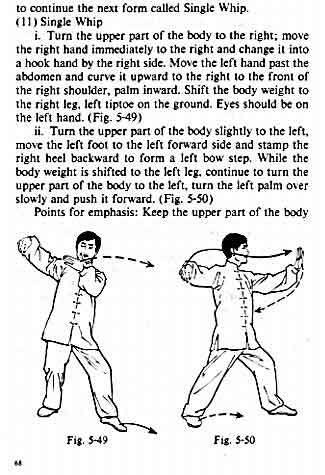 Yang Style Tai Chi in 24 Forms (Beijing 24) is presented with detailed description and diagrams of the movements. 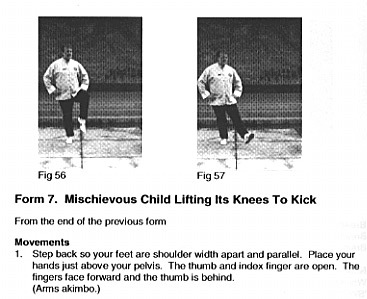 This includes discussion of the basics - key points for technique, stances, footwork and hand forms, along with notes for the practitioner and quotes from Classical Tai Chi texts. 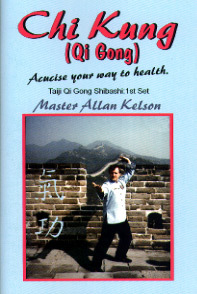 This is the authoritative textbook on traditional Yang Style 103 Form Tai Chi, written and demonstrated by Yang Zhendou (Allan Kelson's teacher), the keeper of the style. 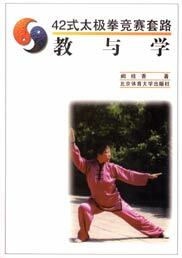 It contains comprehensive discussion of essentials for Tai Chi practice, with particular emphasis on the Yang style. This book contains over 600 pictures, and covers Yang style postures and applications, along with the 103 movements of the form. This is the English textbook for students studying Sun Style at the Beijing University of Sports Education in China, which we reprint here for students of the Institute with permission. 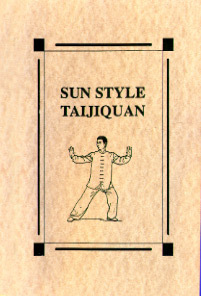 This book presents the Sun Style Tai Chi Competition Routine in 73 Forms, illustrated with 177 diagrams and accompanied by written descriptions. It also contains a floor plan, which outlines the distribution of movements in the routine. 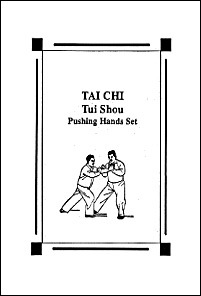 This is an English textbook for beginning students studying TuiShou, or Pushing Hands. produced by the Beijing University of Sports Education in China, which we reprint here for Institute students with permission. This book pres4ents a number of two-person exercises, illustrated with 62 diagrams and accompanied by written descriptions. These start with basic exercises and drills, and move through push hands with static feet up to push hands with moving feet. 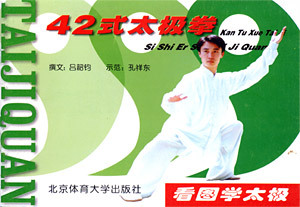 New : 42 Tai Chi VCD from China. 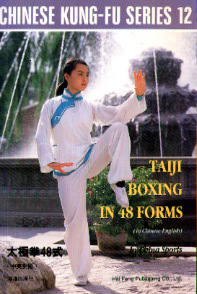 This book consists of a series of large black and white photographs, which clearly illustrate the postures and movements of the 42 Forms Competition Set of Tai Chi. By: Master Wu Dong - Beijing China. Ideal reference video for the serious practioner. Also available: The companion Textbook with photos. This book presents the 42 Forms Combined Competition Set illustrated in 193 diagrams, including a detailed section on footwork. Written descriptions accompanying the diagrams are in Chinese only. 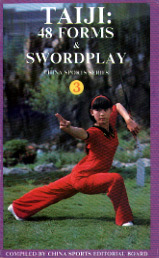 Book three in the "China Sports" series, this book presents both Combined Tai Chi in 48 Forms and Tai Chi Sword in 32 Forms, both devised by China's State Commission for Physical Culture and Sports to provide a further challenge for those who have completed the Yang Style Tai Chi in 24 Forms (also called Simplified Tai Chi or Beijing 24 Forms). This book contains some historical information on Tai Chi, and basic guiding principles for both the Tai Chi and Sword forms presents. 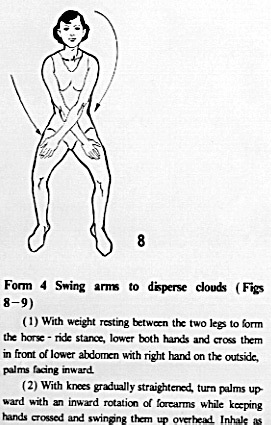 The Tai Chi in 48 Forms is illustrated in 257 diagrams, accompanied by written descriptions. The Sword in 32 Forms is illustrated in 61 diagrams, also accompanied by written descriptions. Book twelve in the "Chinese Kung-Fu" series, this book presents the Combined Tai Chi in 48 Forms, devised by China's State Commission for Physical Culture and Sports to provide a further challenge for those who have completed the Yang Style Tai Chi in 24 Forms (also called Simplified Tai Chi or Beijing 24 Forms). 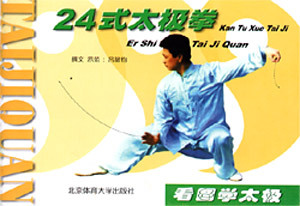 This book, presented in both Chinese and English, contains some historical information on Tai Chi, and basic guiding principles and techniques. 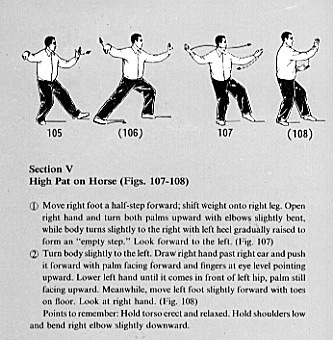 The Tai Chi in 48 Forms is illustrated in 257 diagrams, accompanied by written descriptions. 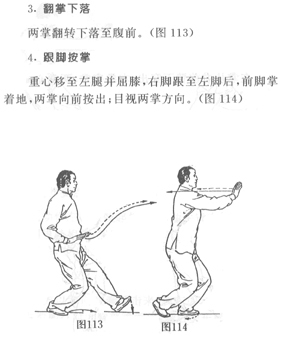 Presented in two parts, this book begins with the detailed illustration and explanation of the martial arts applications of Chen Style Tai Chi, Series 1 (83 Forms - new frame, Xin Jia) and 2 (71 Forms - old frame, Lao Jia). 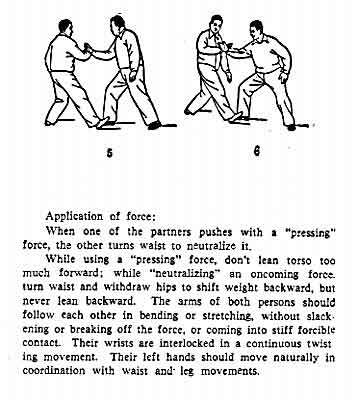 Some discussion of Pushing Hands is also included. The latter part of the book illustrates Chen Style 38 Form, as compiled by Chen Xiaowang. 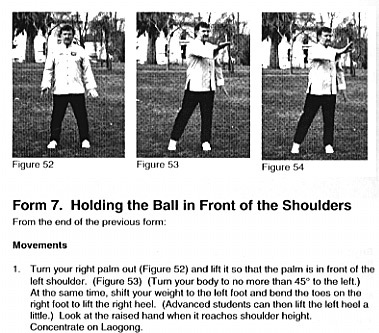 Containing over 400 photographs of these respected teachers, this is an excellent reference for Chen Style Tai Chi. 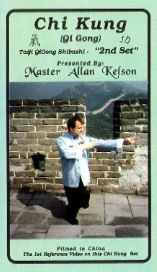 Allan Kelson was the 1st person to bring Master Chen Xiao Wang to Australia and introduce him to the Tai Chi & Wu Shu community around Australia in 1990. Allan was also the 1st to receive private personal training with him in this 38 forms set. 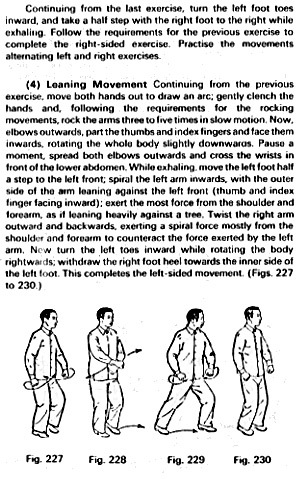 This is a double sided chart, presenting the Yang Style in 24 Forms (also called Beijing 24 or Simplified Tai Chi) using 174 diagrams to demonstrate the movement with accompanying text. 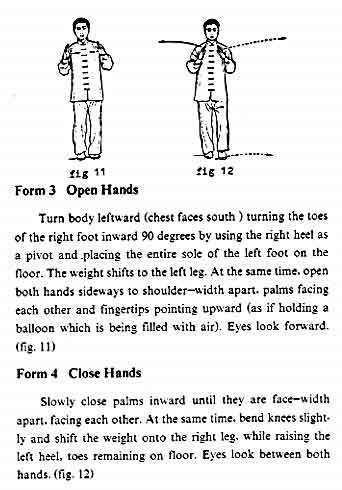 As with the Taijiquan book (see above), this is an inexpensive study aid for students who may need assistance in remembering the sequence of forms between lessons. 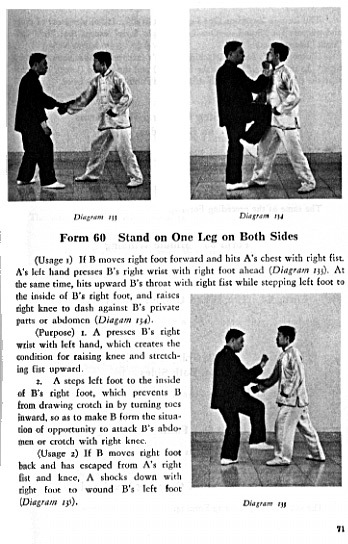 The major difference between this chart and the Taijiquan book is that the written section is presented together with the movements. 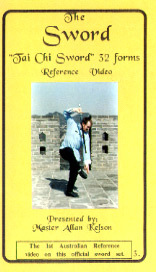 This reference video / DVD begins with an introduction to Tai Chi with a group demonstration of the Yang Style Tai Chi in 24 Forms (Beijing 24). This is followed by individual demonstration of the eight flow patterns from the form and then the Yang Style Tai Chi in 24 Forms (Beijing 24 or Simplified Tai Chi) as taught to our students. 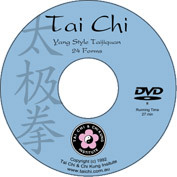 This DVD-R begins with an introduction to Tai Chi with a group demonstration of the Yang Style Tai Chi in 24 Forms (Beijing 24). This is followed by individual demonstration of the eight flow patterns from the form and then the Yang Style Tai Chi in 24 Forms (Beijing 24 or Simplified Tai Chi) as taught to our students. There are convenient chapter jump points for each flow pattern and form - no more waiting! 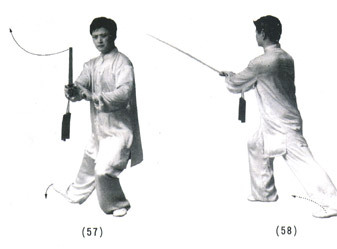 This book consists of a series of 169 large black and white photographs, which clearly illustrate the postures and movements of the 32 Forms Tai Chi Sword Set. New : 42 Sword VCD from China. 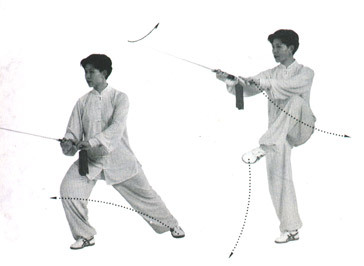 This book consists of a series of large black and white photographs, which clearly illustrate the postures and movements of the 42 Forms Tai Chi Sword Set. Also available the companion Textbook with photos. 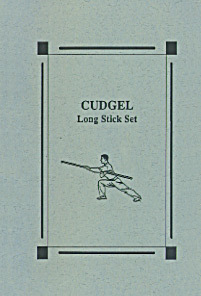 This is the English textbook for students studying Cudgel (the long pole or long stick) at the Beijing University of Sports Education in China, which we reprint here for students of the Institute with permission. 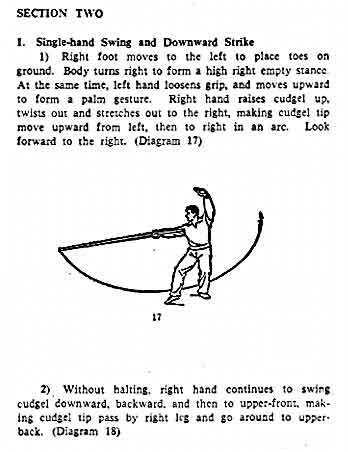 This book presents the a Cudgel Routine in 32 Forms, illustrated with 76 diagrams and accompanied by written descriptions. This is the 1st reference video ever produced in Australia on this set. 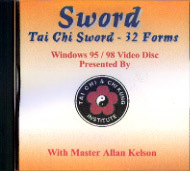 This reference video covers the Official Tai Chi Sword in 32 Forms as taught to our students. 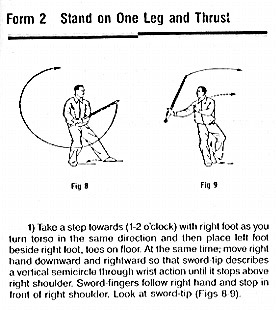 This is the sword set which was devised by China's State Commission for Physical Culture and Sports to provide a further challenge for those who have completed the Yang Style Tai Chi in 24 Forms (also called Simplified Tai Chi or Beijing 24 Forms). 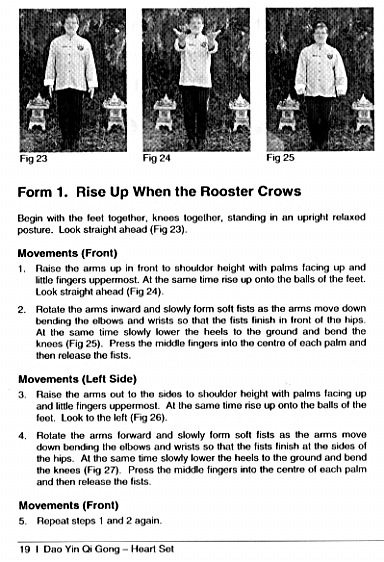 It includes a group demonstration of the set by 80 performers from the 1991 International Wushu & Tai Chi Competition in Beijing, full demonstration of the set, followed by repeated half-body shots of the movements accompanied by chart images. 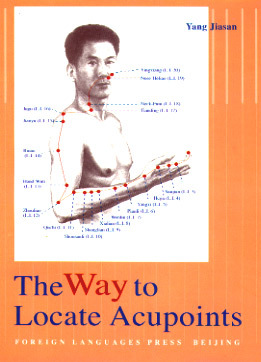 In this book, Dr Yang Jiasan - associate professor and head of the Acupuncture Department at Dongzhimen Hospital, both a teacher and clinician for decades - presents his system for locating points using modern anatomical landmarks as much as possible. 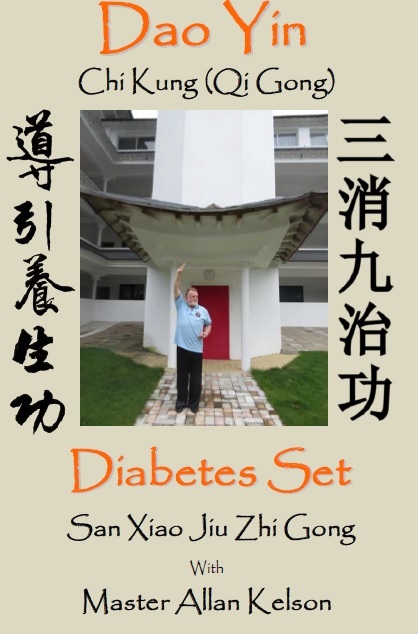 Containing 49 illustrations, this book makes it easier for those lacking a background in traditional Chinese medical theory to locate acupoints. 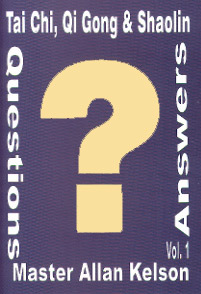 Presented as a series of 123 questions and answers with over 50 pictures and diagrams, this book aims to answer the most frequently asked questions put to us over the years on ths subjects of Tai Chi, Chi Kung (in particular the Taiji Qigong Shibashi set taught at the Institute), Shaolin Temple and Shaolin Arts, the Tai Chi & Chi Kung Institute and Master Allan Kelson. 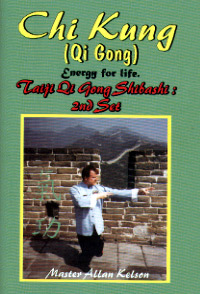 See Pages 40 & 41 for photos of the 1st Qi Gong ShiBaShi class held in Adelaide S.A 24 September 1988. This book is part of the "China - Facts and Figures" series, published by the New Star Publishers, Beijing. 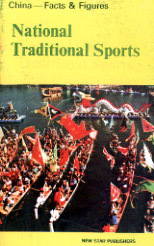 It discusses some of the traditional Chinese sports and games that remain an active part of Chinese culture today. 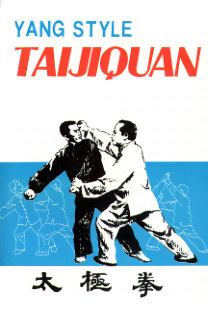 It includes information on Tai Chi, Wushu, Chi Kung, wrestling, board games (xianqi and weiqi) as well as a brief introduction to some traditional sports and games of the minority nationalities within China. Looking for a gift that's out of the ordinary? Perhaps a Tai Chi & Chi Kung Institute Gift Certificate Voucher may be the answer! Our Gift Vouchers are valid for two terms, and they can be used to enroll in classes (subject to our normal enrollment conditions) or to purchase merchandise from our catalogue.